2 KOKKIA iSplitter, iAdapter MULTI-STREAM Bluetooth Transmitters with a "Y" Splitter allows stereo music streaming to up to 4 persons. Built-in re-chargeable battery. Operational while charging for continuous play. iAdapter can be placed in power on/off mode to turn on/off with the power to your Home Theatre system and re-connect to last paired device. While iAdapter is attached to your music/audio device, you can concurrently charge your music/audio device if desired. Firm attachment (no unwieldy dangling cord), tiny size, elegant design, features and performance makes iAdapter an incredibly awesome mate to your iPods/iPhones/iPads, Android/Windows/Samsung SmartPhones/Tablets, Music Devices, Home Theatre system, etc. 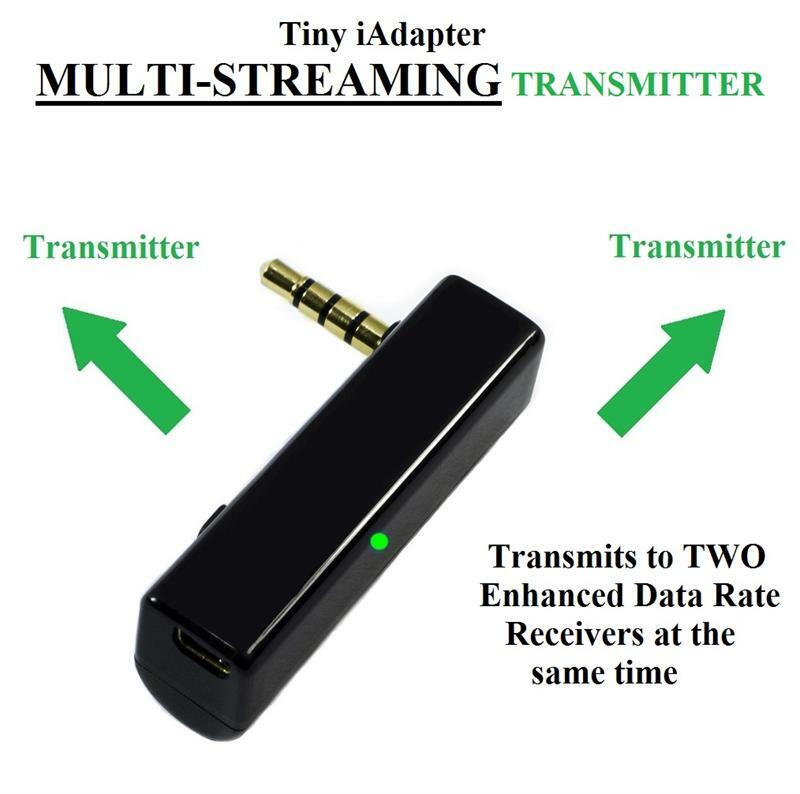 2 iSplitter (black) Multi-Stream Bluetooth Transmitters with a Y Splitter (with key-chain) allows streaming music for up to 4 persons to enjoy. Each iSplitter Multi-stream feature allows stereo music to be streamed to 2 (Two) Enhanced Data Rate Bluetooth Stereo headsets/receivers/speakers concurrently.